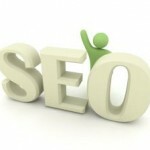 Link Building Is A Vital Part Of Website Marketing, But The Wrong Types of Links Can Hurt You! The need for link building leads many to pursue tactics which range from the merely ineffective (article syndication, mass directory submission) to the outright dangerous (throwaway sites, comment spam, buying pagerank, and so on). The fact is, most of these techniques don’t work. CLICK HERE to use Google tools to find backlinks to your website (registration may be required). Others work (for now…) but put your site at risk because they fly square in the face of what the search engines specifically say you should not be doing. The worst of these tactics are collectively known as linkspam or black hat and the search engines are investing enormous sums into designing new ways to combat them. To be sure, thousands of sites get away with linkspam every day, but this is little more than gambling.